We love to go to the library, but it takes a lot of energy out of me now, because in addition to turning in books and looking for new books, I've got to keep track of two little kids both of whom tend to gravitate toward the computers (and need help), want to be read to, and want to go outside and swing. So finding new books has become a very brief and almost frantic part of the library visit. I usually plant myself in front of a part of the children's books that I haven't visited for a while, then quickly flip through the books. Any titles or illustrations that attract my attention get pulled out and briefly flipped through. If a page in a book looks interesting, I put it in my pile. If I think the ratio of text to pictures isn't right, I put it back. I also find it extremely helpful that the librarians display books on the top of the shelves. I often grab about three of those because they look fun. I try to keep my pile to less than five books each because I can really go crazy, and visiting the library every week makes our check outs really add up. I love that it is so easy to take back books that turned out to not be interesting. And to recheck out (online) books that we really like. Sometimes we keep books for up to nine weeks! The best thing about my new system is that sometimes we find really great books, but I didn't know how cool they were until we got home. ... well... Pirate and Viking do not get along. The book illustrates how to use the scientific method while Scientist tries to reconcile his two friends. The pictures are fun, and the unusually matched characters make the book even more fun. 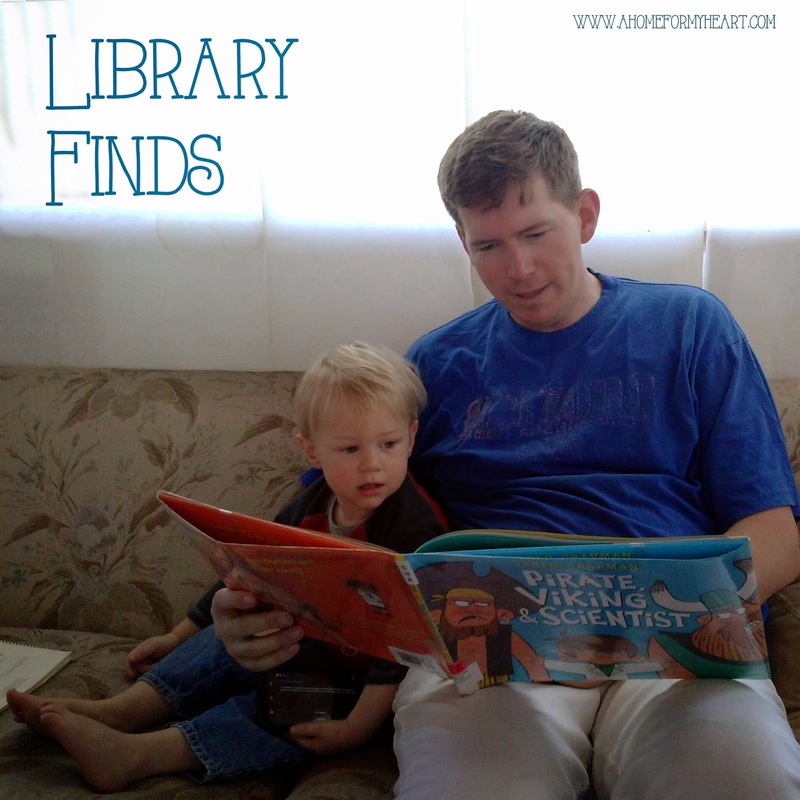 categories: book review., books., Library Finds.